MicroRNAs (miRNAs) are small regulatory RNAs, the dysregulation of which has been associated with the progression of several human diseases, including cancer. Interestingly, these molecules can be used as biomarkers for early disease diagnosis and can be found in a variety of body fluids and tissue samples. However, their specific properties and very low concentrations make their detection rather challenging. In this regard, current detection methods are complex, cost-ineffective, and of limited application in point-of-care settings or resource-limited facilities. Recently, nanotechnology-based approaches have emerged as promising alternatives to conventional miRNA detection methods and paved the way for research towards sensitive, fast, and low-cost detection systems. In particular, due to their exceptional properties, the use of gold nanoparticles (AuNPs) has significantly improved the performance of miRNA biosensors. This review discusses the application of AuNPs in different miRNA sensor modalities, commenting on recently reported examples. A practical overview of each modality is provided, highlighting their future use in clinical diagnosis. 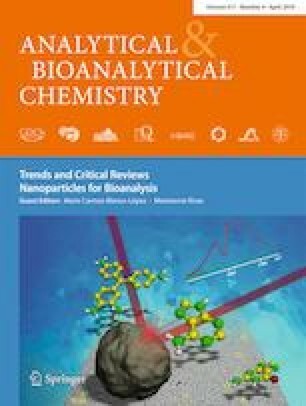 Published in the topical collection Nanoparticles for Bioanalysis with guest editors María Carmen Blanco-López and Montserrat Rivas. IMDEA Nanociencia acknowledges support from the “Severo Ochoa” Programme for Centres of Excellence in R&D (MINECO, Grant SEV-2016-0686). Catarina Coutinho acknowledges the Erasmus+ Mobility Program for financial support (2017-1-PT01-KA103-035245). This work was partially supported by the Spanish Ministry of Economy and Competitiveness (SAF2017-87305-R, PCIN-2016-167), Comunidad de Madrid (IND2017/IND-7809; S2017/BMD-3867), co-financed by European Structural and Investment Fund, Asociación Española Contra el Cáncer, and IMDEA Nanociencia. Josefsen K, Nielsen H. Northern blotting analysis. Methods Mol Biol. 2011;703:87–105. https://doi.org/10.1007/978-1-59745-248-9_7. Ferhan AR, Jackman JA, Park JH, Cho N-J, Kim D-H. Nanoplasmonic sensors for detecting circulating cancer biomarkers. Adv Drug Deliv Rev. https://doi.org/10.1016/J.ADDR.2017.12.004. Posch C, Latorre A, Crosby MB, Celli A, Latorre A, Vujic I, et al. Detection of GNAQ mutations and reduction of cell viability in uveal melanoma cells with functionalized gold nanoparticles. Biomed Microdevices. 2015;17. https://doi.org/10.1007/s10544-014-9908-7.